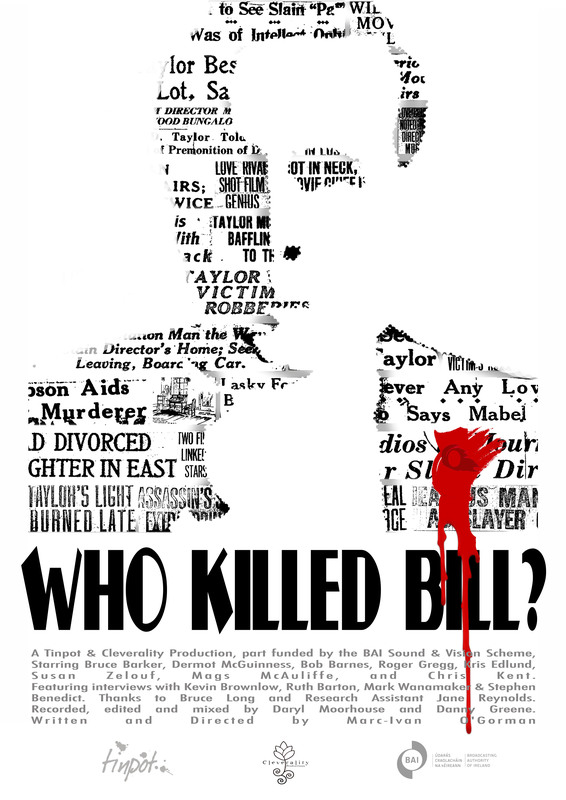 “Who Killed Bill?’, a drama-documentary on the life and murder of Hollywood Silent Era director, William Desmond Taylor, will air on Newstalk on Saturday May 12 & 13, 2012. Born William Cunningham Deane-Tanner in Carlow, Ireland, Taylor had an extraordinary life prior to his arrival in a burgeoning Hollywood. Taylor went on to become Head of Production at Players-Lasky (Paramount) Studios and direct over 60 movies before he was murdered under mysterious circumstances at the age of 49. His unsolved murder would have cataclysmic repercussions for the industry. ‘Who Killed Bill?’, written & directed by Marc-Ivan O’Gorman, dramatises the events that occurred immediately after the discovery of his body in his home in Los Angeles. It also features interviews from Hollywood history experts such as, Oscar-winner Kevin Brownlow. The show was produced by Tinpot & Cleverality Productions with support from the Broadcast Authority of Ireland. More details Here. I found out about this three days too late. Any chance of a rerun that I can catch here in Oregon? Possibility we could bring Taylorfest to the US at some stage. So you never know.